According to reports on PastorChirsLiveUSA.org, preparations for the awe-inspiring event are currently underway and the demand is higher than it's ever been. As was announced yesterday by the official channel of the IPPC on KingsChat: The annual Believers’ Loveworld International Pastors’ and Partners Conference is upon us! The magnificent event will take place between the 12th-18th of November 2018 and will be hosted by the man of God, Pastor Chris Oyakhilome! What is the IPPC about? The inspiring event holds a special gathering of the Christ Embassy’s most valued and cherished pastors, ministers and allies. The blessed guests will embark on a journey of the spirit and the heart, where they will be uplifted by the fire and passion of the holy teachings of Pastor Chris Oyakhilome and his fellowship of holy ministers. The event caters to all ages, where both young and old may exult in the gospel of Jesus Christ. In addition to the array of sermons, prayers, and workshops, the event will also hold concerts, dance performances and many more uplifting and exhilarating cultural shows, all of which are infused with the divine spirit of our Lord and Savior Jesus Christ. According to reports on PastorChirsLiveUSA.org, preparations for the awe-inspiring event are currently underway and the demand is higher than it’s ever been. Last year’s International Pastors’ and Partners‘ Conference was an especially huge occasion, as it was the celebration of 30 years of the Ministry of Pastor Chris and the Believers’ Loveworld Inc year. 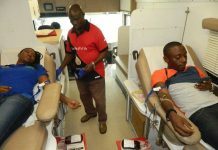 The event took place at the Loveworld Convocation Arena in Lagos Nigeria. There, the thousands of soul-winning attendees flocked to get uplifted by the powerful and healing words of the world’s top ministry leaders. The event boasted an impressive lineup of activities such as; The Pastors Conference, The Loveworld Awards, The LoveWorld, Exhibition, The International Teens Pastors and Leaders’ Conference, The International Media Connectors’ Conference, The LoveWorld Archives and The LoveWorld International Music and Arts Awards. The guests witnessed the union of thousands of ministry leaders and members spread the gospel. Passion and exuberance were in the air and all were greatly inspired by the man of God, president of the BLW, Rev. Dr. Chris Oyakhilome. 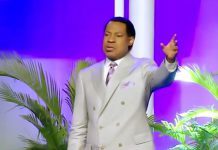 In a heartfelt moment last year, the magnanimous Pastor Chris addressed a hall of thousands of devoted soldiers of God at the Lagos Convocation Arena and preached about the brilliant revelation on “the Infilling of the Holy Spirit”, exclaiming, “The Lord moves when you move, because He lives in you,” Congregants from around the globe rejoiced in his moving words. This year’s much-anticipated event will be equally if not more glorious, as even more ministers will gather from far and wide. The ceremony will kick off with a special opening ceremony, which will be available to the Lord’s people via live broadcast. The celebrations of the Believers LoveWorld Ministry will be broadcasted globally 24 hours a day on the Christian broadcasting station- Loveworld TV, so that everyone may tune in and rejoice in the holy teachings of Jesus Christ from the comfort of their own homes. The Glory of His Presence with Rev. 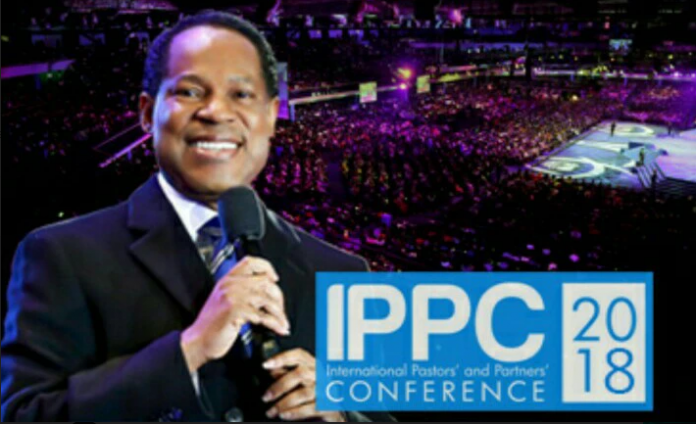 Ken Oyakhilome will take place April 20-21! ‘Hand of Love’ initiative gives free school supplies to secure future of children in low-income communities at Christ Embassy Toronto Bayview. Dear Father, I declare that Your wisdom is functioning in me mightily and I am excelling in good judgment, having the right ideas and making the right decisions, always. I am filled with the knowledge of Your will, in all wisdom and spiritual understanding. I do not walk in confusion or uncertainty. I know who I am; I am the seed of Abraham! The world belongs to me. I reign and rule over circumstances by the power of the greater One who lives in me! He lives in my spirit, in my soul, and in my body! No failure for me, and no defeat on my path; I am moving from glory to glory, and heaping up success upon success. Hallelujah! My faith is strong and prevailing; I’m victorious today and always, living the good life which God prearranged for me before the foundation of the world. Hallelujah! 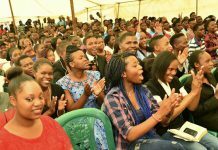 #CommunitySunday – The International Easter Youth Camp is back!